Here we are in January in 2019 and so many people are using the first month of the year to make a change in their lives. Some will be giving up alcohol for the month, some sweet treats, and others will be giving up food and cosmetics etc that are derived from or contain animal products. 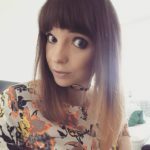 If you are taking part in Veganuary or always follow a vegan lifestyle, you may sometimes find it difficult to find beauty products that you can use. And, since in January many of us decide to change up our look to bring a bit of cheer to a generally dreary month, where do you find the best vegan beauty products? 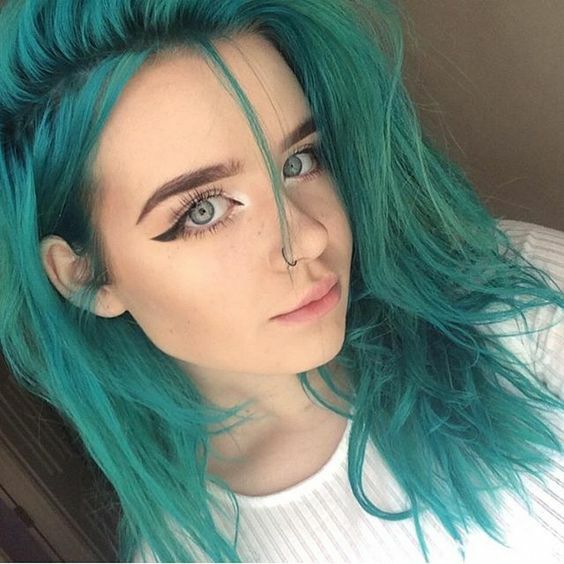 Well, if you are looking to change your hair colour, we have you covered. We have found vegan hair dyes that are not only cruelty-free, but they actually work, as well as containing lots of nourishing ingredients for beautiful and healthy hair. 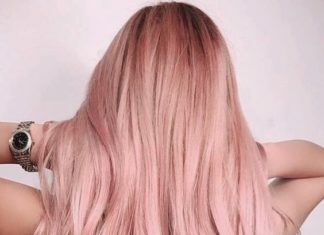 So, here are the 10 best vegan hair dyes for a stunning cruelty-free makeover in 2019. 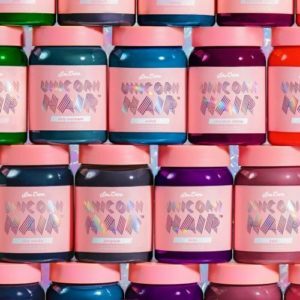 If you are looking for fantastical and fairytale hair colour, look no further than the Unicorn Hair range from Lime Crime. The collection consists of a wide range of colours, from the relatively tame Chestnut and Chocolate Cherry to the bold and out there Neon Peach and Jello shades. 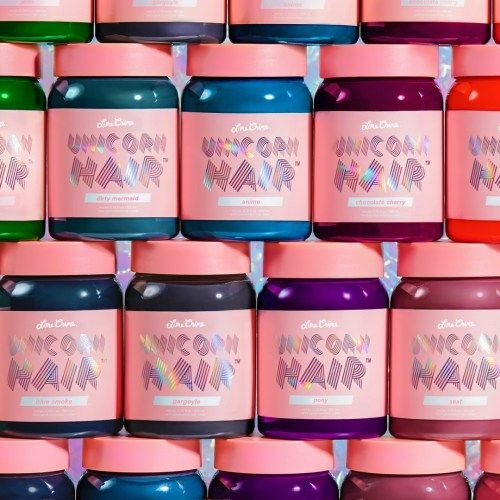 Covering all colours of the rainbow and some in-between, the Unicorn Hair range comes in two formulations: Full-Coverage and Tint, both of which are 100% vegan and cruelty-free, as well as being ultra-conditioning and damage-free to hair. The full coverage version contains a higher pigment load to deliver a more saturated colour. The brightest colour will be seen in bleached platinum to medium blonde hair, with a more tinted effect in dark blonde to light brown hair. The tint version is less pigmented and will provide just a light wash of colour, and therefore best suited to pre-bleached or pale blonde hair. Both the full coverage dyes and the tints work gently on the hair for high shine and will wash out gradually, fading beautifully. Tints of Nature pride themselves on being an ethical hair care brand, strongly believing that beauty should not come at the cost of animal welfare. 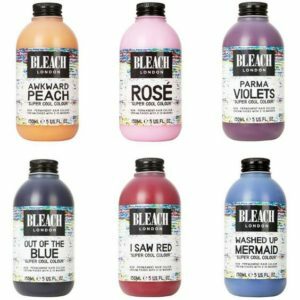 Both their permanent and semi-permanent hair dye ranges are completely vegan-friendly and come in a wide range of blonde, brunette, and red shades. They are not just kind to animals (no animal testing here) they are also kind to your hair and skin. Their professional-quality formula contains the lowest possible levels of PPD pigments and is free of harsh ingredients like ammonia and sulfates, all whilst providing long-lasting colour and excellent coverage of grey. With hair dyes packed full of organic ingredients, your hair will be naturally beautiful. 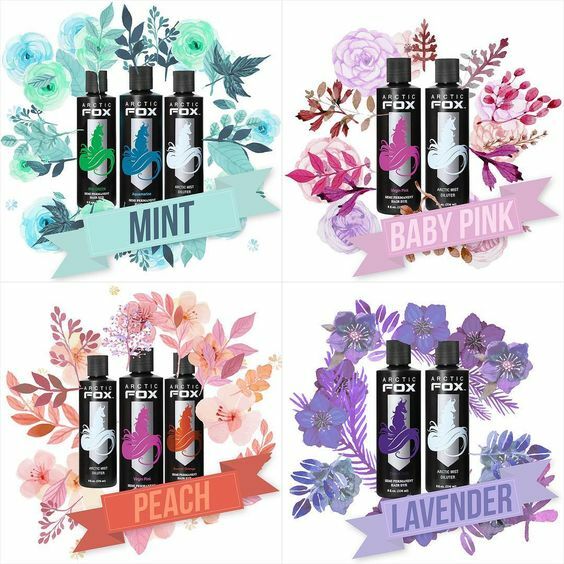 Arctic Fox is one of the world’s fastest growing hair colour lines, offering bright and vivid shades whilst also donating 15% of their profits to animal charities. 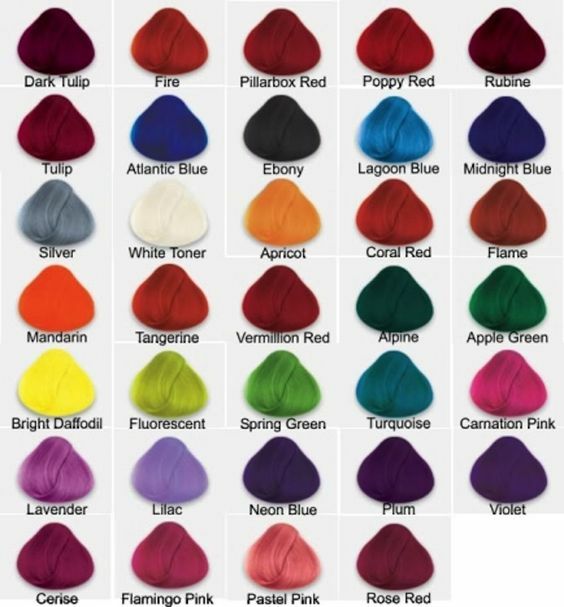 The semi-permanent colours range from outrageous primary colour to soft pastel shades, which have been formulated to fade within the original colour spectrum, This means that you will see the gorgeous tone you love right until it fades completely. The 100% vegan dyes contain no PPDs, drying alcohols, or harsh chemicals, so your hair will be shiny and nourished. 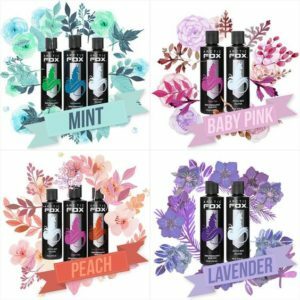 If you love the Arctic Fox vegan air dye colours but are not quite ready to take the plunge, check out their range of bold and beautiful hair extensions. Easy vivid colour whenever you want it. Lush is one of the world’s best known cruelty-free skincare and beauty brands, famous for making all of their products from natural ingredients in their ‘kitchens’. They recently released a range of henna hair dye bars in four colours: Chestnut, Hot Chocolate, Indigo-go, and Phoenix from the Flames. The bars contain red henna to add body and shine, and organic cocoa butter will soften and condition, for beautiful glossy locks. Furthermore, henna is completely safe to use, so you can use this natural hair dye as much as you like. 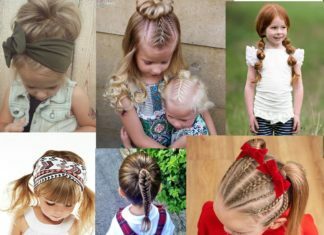 The wonderful thing about henna is that it will develop differently depending on the individual mix of tones in your hair. 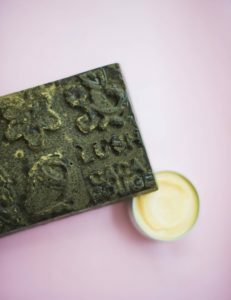 Plus you can mix the individual henna shades together, so with the vegan hair dyes from Lush your colour can be completely unique to you. 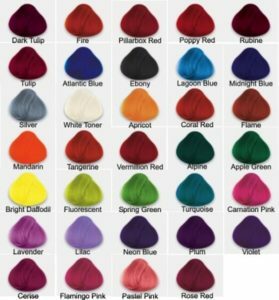 Think of any colour in the world and it is almost a guarantee that Manic Panic will have a vegan hair dye that matches it. 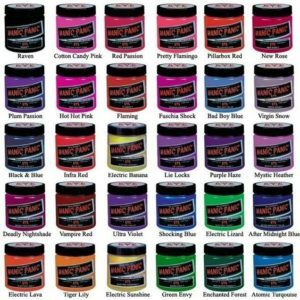 When it comes to semi-permanent hair colour, Manic Panic is so often the go-to brand and it isn’t hard to see why. Incredibly they have over 50 shades with are 100% vegan, ranging from pretty pastels to their ultra vibrant ‘High Voltage’ colours. The colours will wash out gradually with each wash and will be at their most vibrant when applied to pre-bleached or light hair. 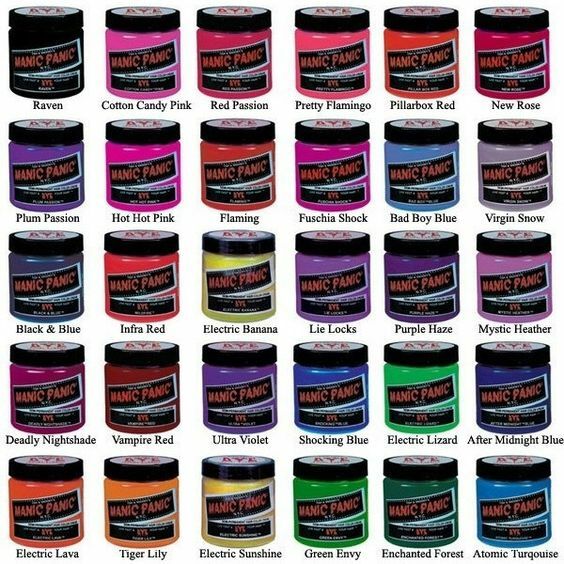 With one of Manic Panic’s hair dyes, you will be able to enjoy a bold and beautiful colour for around 8 weeks. 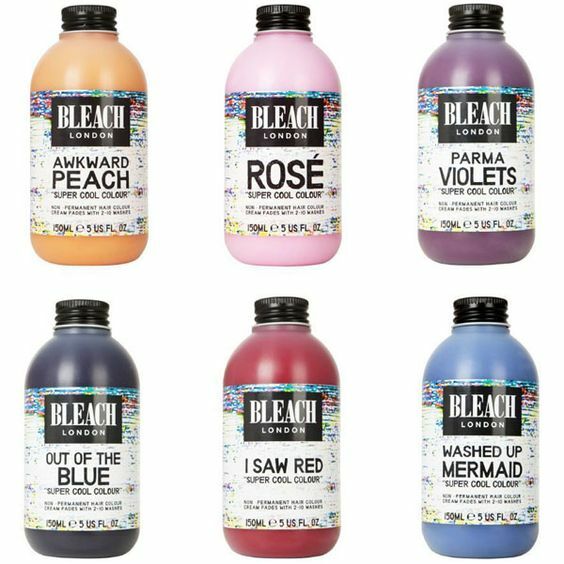 Bleach London offer a wide range of vegan hair colour and hair care products that are also sustainable. The brand went completely vegan as of 2017 and they guarantee that no animal products will be found in any of their products. They include nourishing ingredients such as minerals or natural oils, which will keep the hair moisturised and healthy from root to tip. They have a wide range of colours, from the fantastical to the natural, as well as a line of toners. Their line of colours include semi-permanent, hair chalks, colour sprays, and colour shampoos, and they even have easy to use kits for creating your own ombre and beachy highlights at home. If you are interested they also have a great range of vegan make-up. If you are looking for a more permanent colour then check out the wonderful range of natural colours from Naturigin. 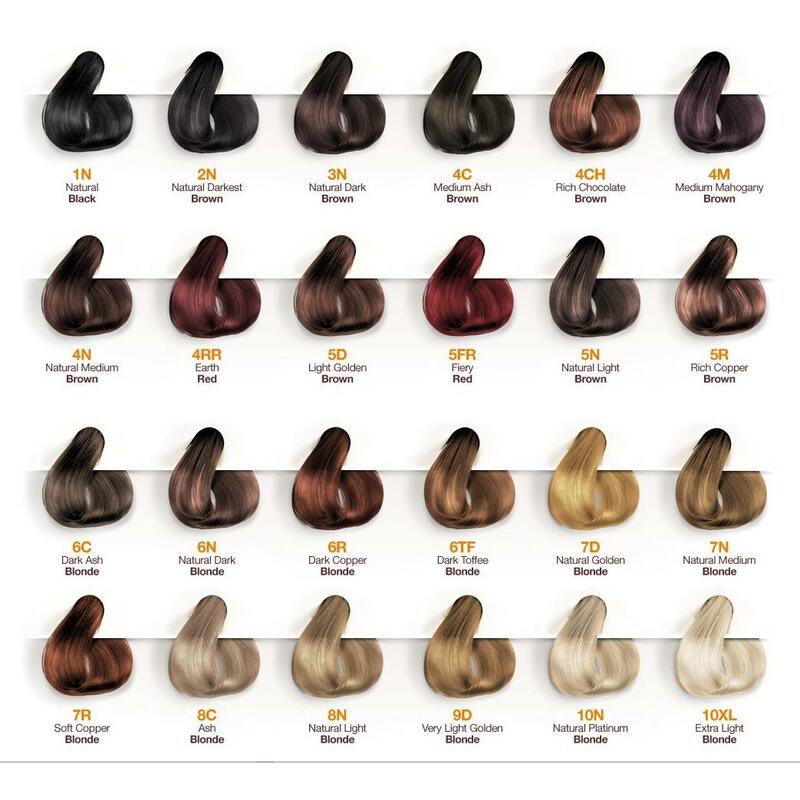 Each of their lovely 19 shades provides stunning shine and will cover greys without the use of harsh chemicals. 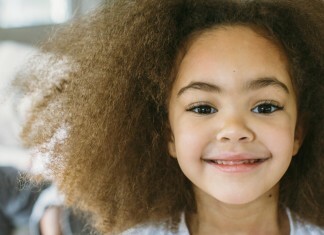 The formula is free of parabens and ammonia, but the brand does recommend investing a good quality deep conditioning treatment as their dyes may be drying to some hair types. 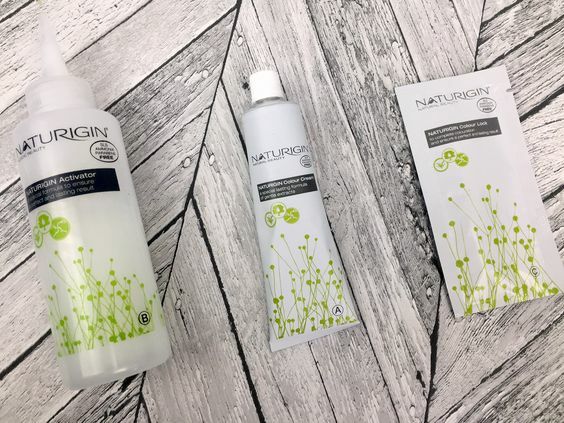 Your hair will certainly not be short on shine with Nutrurigin hair dyes as they are packed with wonderful natural ingredients such as grapefruit peel oil, lemon peel extract, and jojoba oil which will condition the hair, whilst giving a glossy finish. 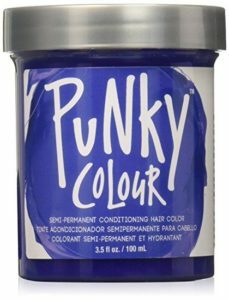 Definitely the go-to vegan hair dye brand for bright natural colour that is long-lasting and multi-tonal. 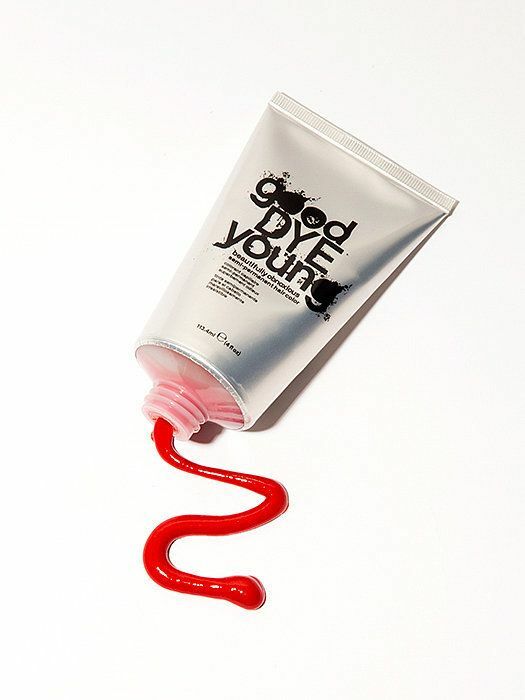 Good Dye Young is a vegan hair dye brand that was developed by animal lover Hayley Williams of the band Paramore. The brand received the 2017 Libby Award for Best Vegan Hair Dye and it is not hard to see why. All of its semi-permanent colours and hair cosmetics are vibrant and highly pigmented, which are free from PPDs, formaldehyde and parabens. Furthermore, the colours can be mixed to create your own bespoke shade. The vegan hair products from Good Dye Young are full of nourishing ingredients, such as bergamot essential oil and sunflower extract to condition and protect the hair. The first line of Directions hair colour from La Riche had humble beginnings back in 1981 and has since expanded to become one of the most sought-after brands for vibrant vegan hair dyes. The cruelty-free brand has so many beautiful shades covering the entire colour spectrum from more muted dusky colour, to vibrant pop-art shades. 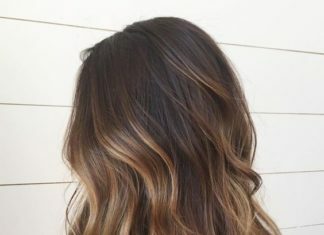 The semi-permanent colours will last around 8 weeks and those with longer or thicker hair may need two pots to achieve full coverage. 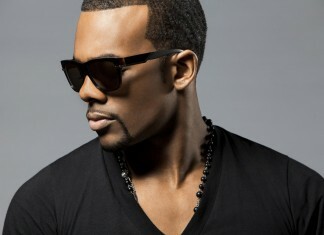 Directions use no PPDs, peroxide, or ammonia, to ensure that you are getting a safe way to transform your look. Their colours can be blended together to create a bespoke shade, so the only limit is your imagination. La Riche also has a range of complementing hair care products, including colour-lightening kits, and shampoos and conditioners. For a semi-permanent colour with real lasting power give the Punky Colour range by Jerome Russell. The 100 vegan hair dye comes in a whopping 21 shades, each of which you can expect to last around 6 months. The highly pigmented shades are free of PPDs and have a hydrating formula that is nourishing and conditioning. Your hair will be bold and beautiful and feel super soft to the touch.